I invite you to try my gourmet all natural, flavorful, spicy, vegan, fat- free, and allergen - free chutneys: Royal Mint, Royal Pomegranate, Royal Cranberry, Royal Plum, and Royal Tomato. We want our chutneys to be in every kitchen pantry and hear WOW at every taste. We are committed to providing the purest & freshest chutneys, samosas, and koftas. On May 19, 2004, I began production of five of my favorite chutneys, Mint, Plum, Cranberry, Tomato, and Pomegranate. I have used the freshest ingredients I could find and made each jar with the same care as if I were making it for my own family. These flavorful chutneys will more than satisfy your taste buds. 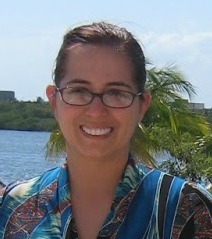 Relinquish your preconceived ideas and travel on an international adventure beyond your wildest dreams. Each chutney is all natural, versatile, allergen-free, and fat-free and will allow you to spice up your everyday meals. Add some chutney to soups, salads, or sandwiches. You can use them for grilling, as a spread, marinade or dip, condiment, or a base for curry. You can even devour a jar of chutney a spoonful at a time! Don't wait another second, order a jar of each to experience what your senses have been missing. I was very fortunate to be able to try two varieties of their chutney, Royal Tomato Chutney and Royal Cranberry Chutney. I have tried many different condiments in my lifetime, from the basic classics to ethnic treats. I am always up for trying something new and different. So when I had the chance to try two flavored chutneys from the Bombay Emerald Chutney Company, I was so excited, I could not wait to try these amazing chutneys. The other night I made a basic of dish of chicken sausage and rice into a unique and delicious dish thanks to this is amazing chutney. I simply topped the chicken sausage and serviced with rice. When we ate we mixed the chutney with the sausage and the rice and it had a great flavor. My daughter who is also a fan of spice liked this a lot. Warning though… not all kids will find this as good as my daughter did she is unique and loves spicy foods like her parents do. This tomato chutney is great for dipping and would be a great addition to cheese, chips, and crackers instead of a traditional salsa. The Cranberry chutney is quite spicy, a bit spicy even for me. My hot sauce loving husband thought it had a great kick. Using the cranberry chutney as a topping would be a bit hot, but I am going to make a marinade from a recipe from the website: To make marinade, add two tablespoons of this chutney to 1/4 cup of olive oil, 1/4 cup of lemon juice, kosher salt, and mix thoroughly. I am sure after this chutney is mixed the spice will mellow out a bit, and it will be just the kind of spice I love (spice with a kick, but not overly spicy) and I am sure you will love too. You may think you have to be an adventurous eater to enjoy chutney, you just have to love spice. This chutney has a great flavor that will surely wake up your taste buds. The chutneys retail from $7.99 - $9.99 each and come in five flavors including, Mint, Plum, Cranberry, Tomato, and Pomegranate. 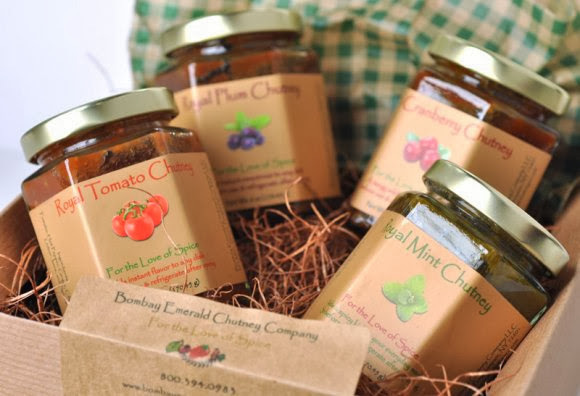 The generous folks at the Bombay Emerald Chutney Company are giving one of Susan’s Disney Family readers a chance to win 3 Chutneys from the Bombay Emerald Chutney Company a $30.00 value! Would you like to win? 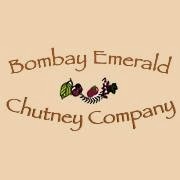 Please visit the Bombay Emerald Chutney Company website, and take a look around then come back here and tell me something you learned from the site. There are also other ways to enter, please enter below. Disclosure: The reviews and or opinions on this blog are my own opinions . I received 2 chutneys to review. No monitory compensation was received. I was not required to write a positive review. Your experience may differ. The opinions I have expressed are my own I am disclosing this in accordance with the Federal Trade Commissions 16 CFR Part 255: Guides Concerning the Use of Endorsement and Testimonials in Advertising . I learned Each chutney is all natural, versatile, allergen-free, and fat-free and will allow you to spice up your everyday meals. Thanks so much for the fantastic giveaway! I learned that they have a line of frozen foods. You can add chutney to soups, salads, or sandwiches. I learned that these are available - Royal Mint, Royal Pomegranate, Royal Cranberry, Royal Plum, and Royal Tomato. I have never had chutney but this sounds delicious! they have a mint chutney I would be interested in. I learned that "Chutney is a perfectly blended mixture of spices, fruits, and herbs." I learned that they sell gift boxes that include: Royal Plum, Royal Mint, Royal Tomato, and Royal Cranberry chutneys and also recipe cards. These varieties of spicy chutneys was made with family inherited recipes over 36 years ago! I learned that the Cranberry Chutney is spicy! The chutneys have been created using treasured family recipes that I inherited over thirty-six years ago. Their products are pure vegetarian and vegan! The Bombay Emerald Chutney company is committed to local produce when available. That's great! I learned their recipes have been in the family for years. I learned that all their chutney's are allergen-free. I learned that they also sell spices. These chutneys are good for nine months if unopened. Please store unopened jars in the pantry/cupboard, away from direct sunlight. Chutney goes well with what I eat for lunch everyday! Very cool giveaway. family recipes! never can go wrong with that! I learned you can add chutney to soups, salads and sandwiches. That they are made with quality fruits and veggies. That they are used to jazz up any dish you like. Id like to try a bit of cranberry on a roast beef sandwich. tomatoes are awesome and the chutney should be delirious. I learned its a family recipe and sounds so good. I learned that you can use them for grilling, as a spread, marinade or dip, condiment, or a base for curry. Each chutney is all natural, versatile, allergen-free, and fat-free and will allow you to spice up your everyday meals.